Our maid service is not “one size fits all”, everyone has a unique home and their own house cleaning preferences. With that in mind, we would like to get a bit of information before we give you a price. Please fill in our maid service price estimate form. It won’t take long, we promise. Rushed for time? Chat with us. We offer maid services on schedules that best meet your needs including daily, weekly, bi-weekly (twice a month), and monthly. We even offer one-time house cleaning for those times when you want to treat yourself, you’re moving (moving out or moving in), or before and after a special event. Mother-In-Law visiting? Don’t worry, we have your back. All areas dusted, furniture, picture frames etc.. 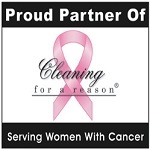 Some additional services that may be included on one time cleaning or regular visits. Maybe you’re looking to just have a couple of rooms cleaned. Seriously, who couldn’t use a break from scrubbing toilets? Give us a call to find out about our per room price options. We have great tools and will do our best to reach everything we can, but there are just some things we may not be able to reach. We can’t move furniture and can’t be precariously balanced on a counter top or ladder. We’re sorry…our lawyers made us say this.